Pastor Brandon and Marlana Wenzel are a couple that have served together in ministry for over ten years. Brandon grew up in Lake City, Minnesota, which is right along the Mississippi River. In middle school, he came to know Jesus as his personal Lord and Savior. Then, in high school, God placed a calling of ministry on Brandon’s life. After spending two years at a small Bible College in Rochester, MN, he finished his degree in Youth Ministry at North Central University in Minneapolis, MN. Brandon has grown in his strengths through pastoring in the local church for the past ten years. This has led to a passion for personal development and helping others find their God-given purpose in life. In 2017, the Wenzels felt the Calling to plant a church in Dell Rapids, SD. 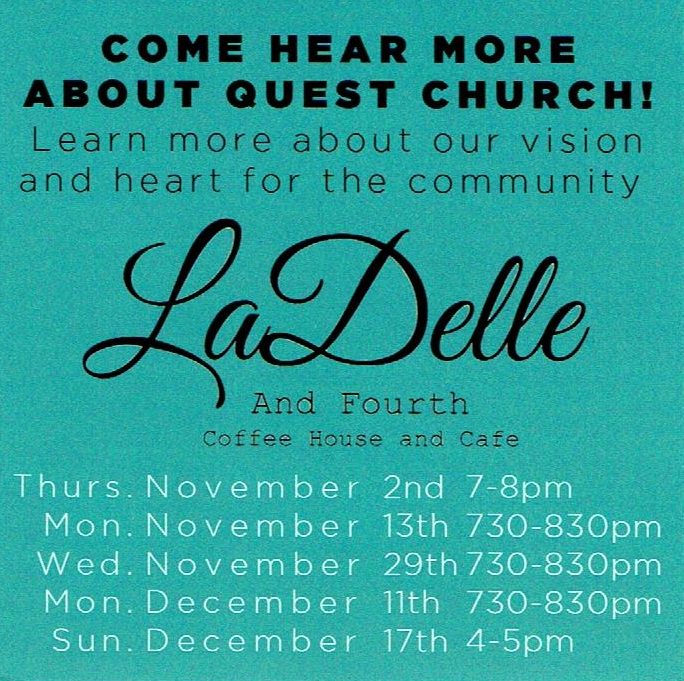 Their heart for families and people trying to find purpose in life are what drives them as Quest Church begins to form. In his spare time, Brandon is an avid runner, having completed his first marathon in 2016 and a triathlon in 2017. He also enjoys cooking, going out for coffee, and anything sports related. Marlana was raised in the Twin Cities of Minnesota. She was blessed to have grown up in church, learning what it meant to faithfully serve the Lord and personally choose His ways throughout her childhood. Marlana’s call from the Lord during high school to “help hurting youth” led her to pursue a degree from Vanguard University in Southern California, only to meet a guy from back home as they served at a teen camp together. Marlana has faithfully served in ministry through the years, both as Brandon’s right hand and also in other endeavors the Lord has called her to. She is passionate about reaching those who don’t yet walk with Jesus and discipling believers to strengthen their own faith to, in turn, hear His call and reach those in their communities. When she’s not working, Marlana enjoys hitting the gym, riding the trails, and reading a good book. She can be found crafting and creating, while drinking a good cup of hot chocolate with friends and beautiful conversation.